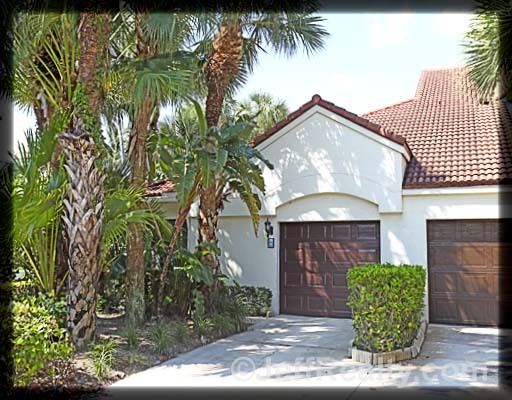 This beautiful, end locale, 1-story home at 501 Sea Oats Drive #A-1 in desirable Sea Oats in Juno Beach has wonderful light. Volume ceilings, skylights, and lots of windows make this great room floorplan open & spacious. The great room has a wide pass-thru opening up the 2012 newly remodeled kitchen with beautiful granite and wood cabinetry, which is perfect for. A bonus room for formal dining or a separate den is off the kitchen. The guest suite is split for privacy. The master is your oasis. An open master bath and ample closet space is perfect to unwind. 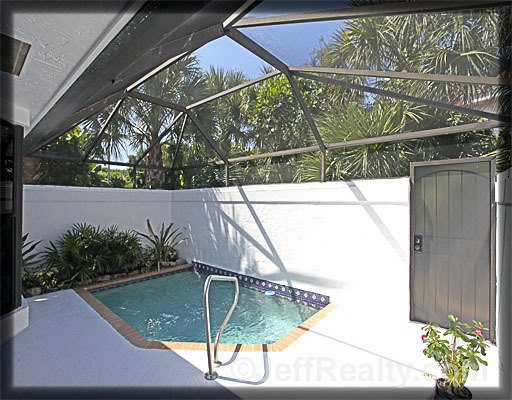 The enclosed patio with large dipping pool is perfect for entertaining. The tropical paradise foliage is private & tranquil. A community pool, low HOA cost, and proximity to the beach and restaurants makes 501 Sea Oats Drive the perfect spot under the Florida sun. Posted in Juno Beach Homes, Sea Oats, Sea Oats condos for sale on March 28, 2012 at 5:43 am.